يقع في سارفرس باراديس, Surfers Beach Resort One إنه المكان الأنسب لاكتشاف جولد كوست و ما يحيطها. يمكن من هنا للضيوف الاستمتاع بسهولة الوصول إلى كل ما تقدمه هذه المدينة النابضة بالحياة. سوف يعشق النزلاء موقع هذا الفندق، فهو قريب من أهم المعالم السياحية في المدينة كمثل كاسكيد, Royal Queensland Art Society, Brad Holmes Surf Coaching . إن الخدمات التي يقدمها Surfers Beach Resort One تضمن للنزلاء إقامة مريحة. يقدم الفندق فرصة للاستمتاع بشريحة واسعة من الخدمات بما فيها: واي فاي مجاني في جميع الغرف, واي فاي في المناطق العامة, صف السيارات, رعاية أطفال, غرفة عائلية . في Surfers Beach Resort One غرف نوم يزيد عددها عن 11 صممت بذوق وعناية لتوفر لك كل وسائل الراحة . بعضها يحتوي أضاً على تلفزيون بشاشة مسطحة, اتصال لاسلكي بالإنترنت, اتصال لاسلكي بشبكة الإنترنت (مجاني), مكيف هواء, تدفئة. يقدم الفندق مجموعة رائعة من الخدمات كمثل مسار جولف - ضمن 3 كم, حمام سباحة خارجي, حديقة، لجعل إقامتك تجربة لا تنسى. إن Surfers Beach Resort One هو مكان مثالي للمسافرين الذين يتطلعون إلى الراحة والاستجمام في جولد كوست. We had a great stay in this quiet, self-managed apartment. It had everything we needed and at a very reasonable cost. It isn't on the beach, but is only a two block walk away. Paul and Sylvia were good hosts too. Feels like your own home. Location is good, near to the beach. Very lovely owners. Neat and tidy rooms. Comfortable bedding. Awesome view! Decor was a little gawdy, but all was good except for what sounded like a noisy exhaust fan up on the top level. Central to everything. 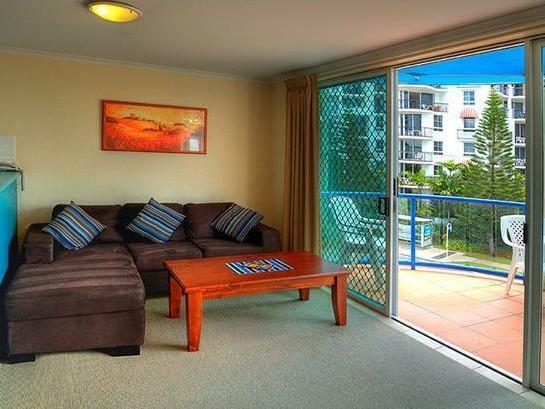 Great stay in a quiet, smàll apartment complex - offers all self-contained facilities. 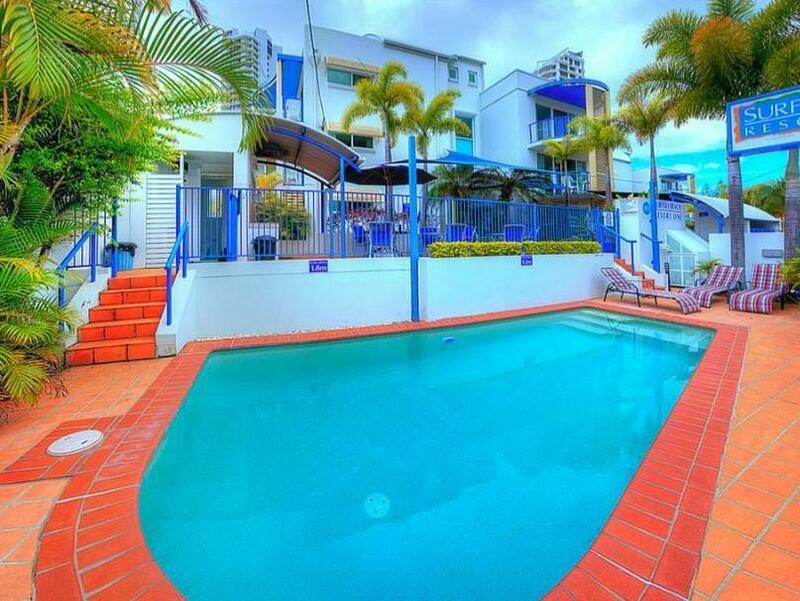 Use of pool or a very short walk to beach. 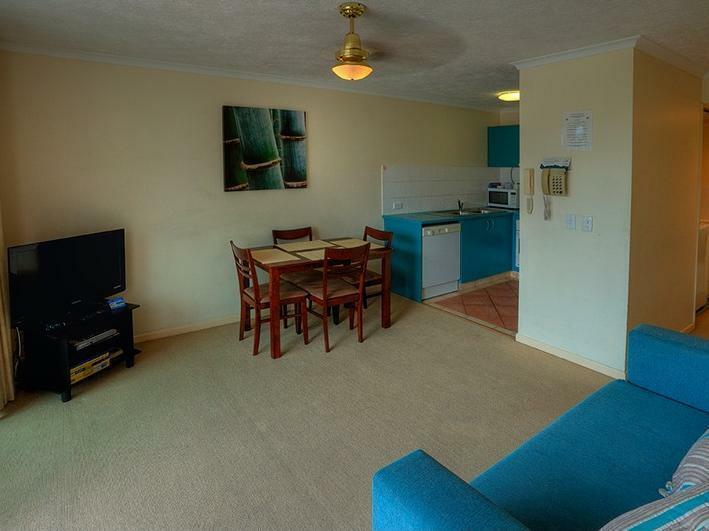 Shopping centre nearby, as well as bus stop at door step and short walk to tram stop so easy access to get to city centre, markets, Pacific Fair, Harbourtown and theme parks. Owners very helpful with information on how to get around and where things were. The hotel was perfect for a stay with a couple of friends. good amount of room and was clean. -great location, just south of the city center, walking distance in 15 -20 minutes. -friendly and helpful staff, knowledge of attractions and local places. -clean apartments, very homey. -5 minute walk to the beach. -nearby shops/eateries. Would definitely stay here again. Handy location, great setting and very reasonable cost. We enjoyed our stay. Thanks. The room is a little darkly lit, but it is a comfortable and convenient apartment unit. One evening, after a very long day out, we came back and switched on the toilet lights. However, the light bulb exploded and fell to the floor. The next day, early in the morning, we went down to the reception and informed Paul of what happened. He immediately reassured us that he would be replacing the bulb before we got back for that day. That evening, when we returned to the room, the bulb was replaced with a well-lit white light bulb. Very efficient turnaround! Another thing that I loved was the free Cable TV (with good and recent shows surprisingly). All in all, I would say that it was a nice 1 bedroom apartment where we had a lot of privacy and quiet. It was a pleasant stay from the moment we check in. Greeted with a friendly smile. Room was clean but a little dusty. Just had to air it out a bit. Sheets and towel provided was all clean. All equiptment in apartment was well maintained and in working order. Television was equipped with foxtel so there was a lot of channels. Good for a lazy night in. There was only one ceiling fan in the bedroom and another in the livig room. Can get a bit hot if it's in the summer. But prefect for fall or winter season. Stayed in room 10, the bathroom door got a bit stuck sometimes. And required extra strength to push open. Very convenient access from garage to rooms. Location was average. About 7mins drive to timezone. And about 10mins drive to pacific fair shopping centre. Less then 10mins walk to the beach. The hotel overview is not bad, very good location, and it is very easy to get the bus to others attraction or the airport. Just a problem in the bathroom, which are too dirty and water for the shower is too too weak. Pas de service en chambre, comme souvent avec ce genre de motel. L'appartement est assez fonctionnel avec le nécessaire (machine à laver, sèche linge etc), un petit coin bbq et une toute petite piscine. Parking en sous sol, pas vraiment de service sinon.